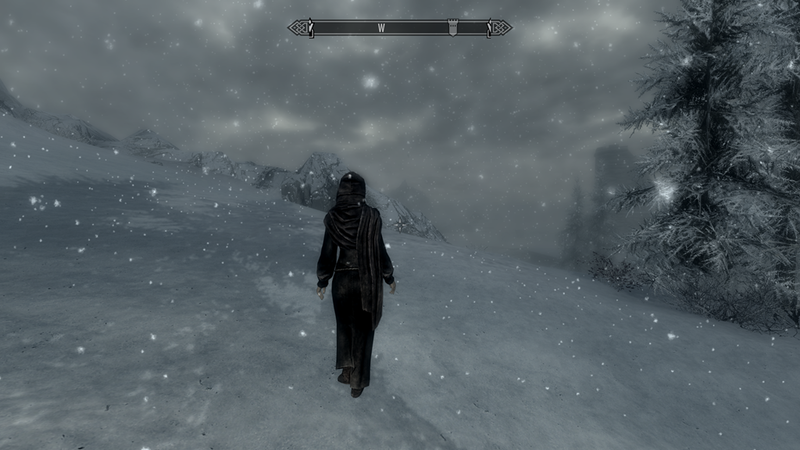 We awoke in the Imperial camp to heavy snowfall. 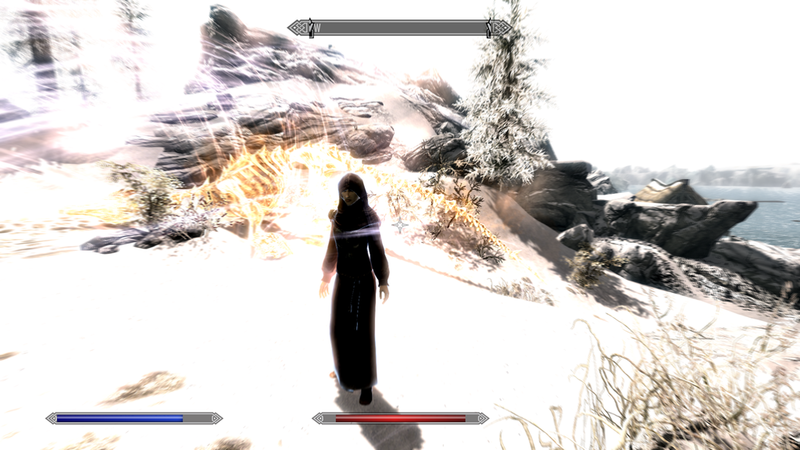 Warming ourselves as much as we could by the camp fires while heating breakfast and tea, Lydia and I agreed to head for Dawnstar. It was not far enough to warrant delaying because of the weather. I pulled my robes as close to my body as I could to retain warmth, but it didn’t seem enough. With my hands and feet going numb, I wondered if we made a mistake. Around midday, the snow stopped and the sun came out, though it provided little warmth. I put a hand over my eyes to shield it from the sun and looked where she pointed. I could only see a gray mass of swirling clouds. I could hear it before I saw it. A roar. A dragon’s roar. Lydia jumped back and withdrew her bow. I prepared firebolts in my hands. 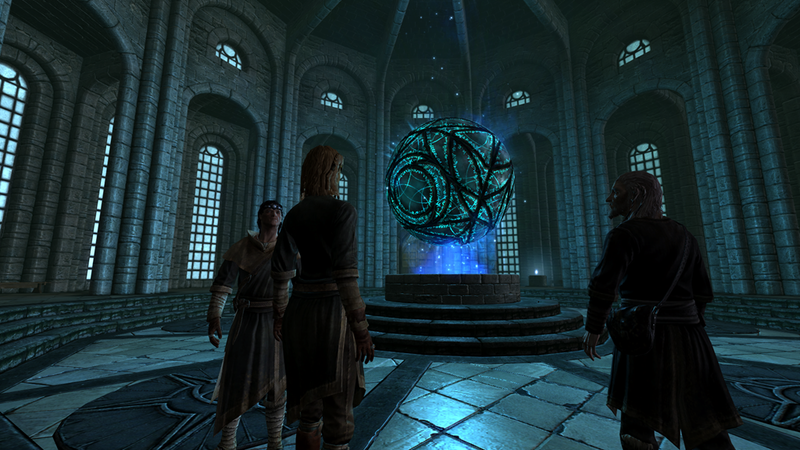 Rubbing the small token of Akatosh under my neck, I whispered a silent prayer. It came from the clouds and dove straight for us. 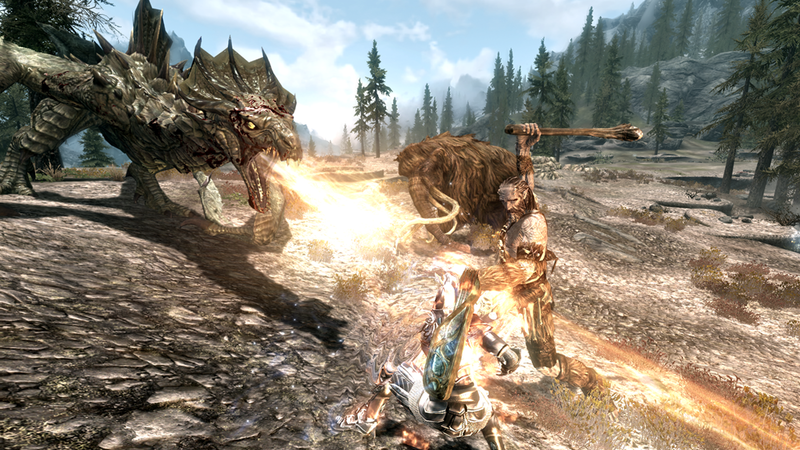 A Frost Dragon, just our luck. We were already freezing cold, and it was spraying us with frozen shards. This was insult to injury. 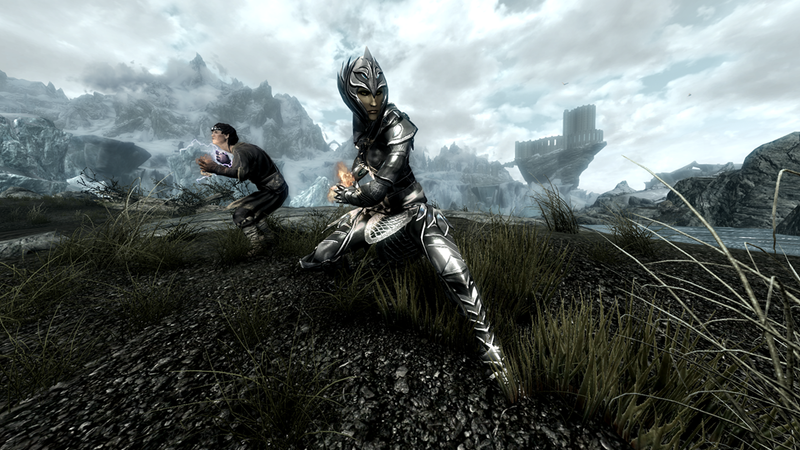 Lydia fired arrows and I hurled firebolts at it. She didn’t acknowledge my order, but I saw her maneuver that way. The guards ran to our aid, and a short while later I stood victorious over its arrow ridden and smoldering body. I closed my eyes as I felt the surge of its soul meld with mine. The warmth of its lifeforce flooded me. 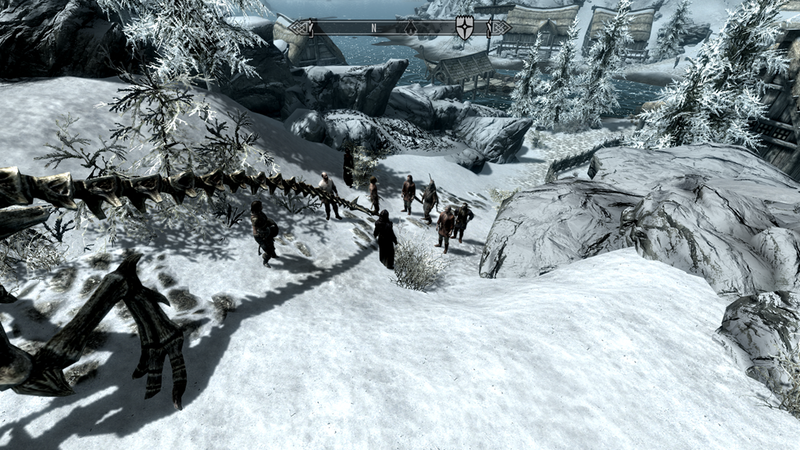 The residents of Dawnstar rushed to view the dragon…and me. 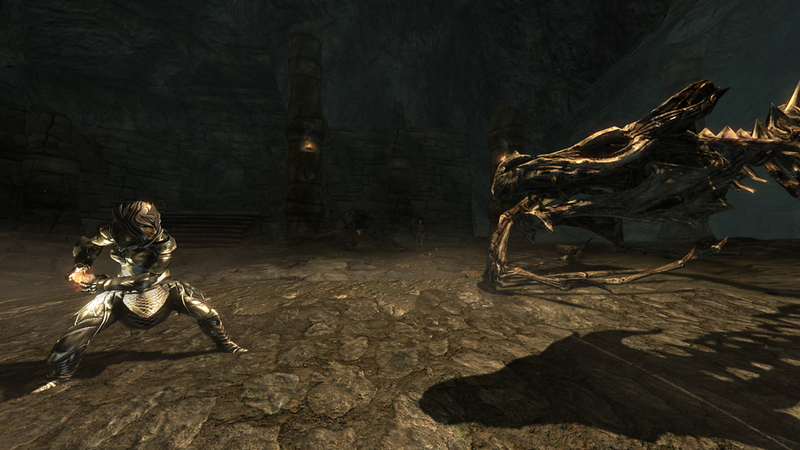 “You…are dragonborn?” Some said this with a twinge of awe and reverence. Others said it with a twinge of disdain. 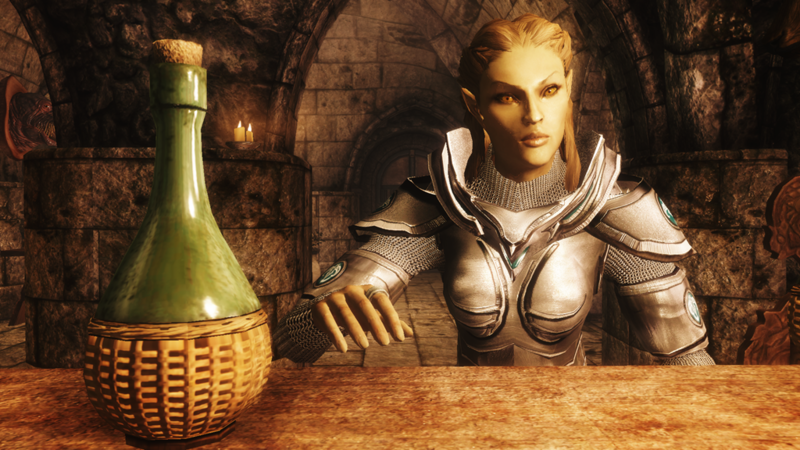 I am Altmer of the Dominion, not a Nordic hero of their stories. 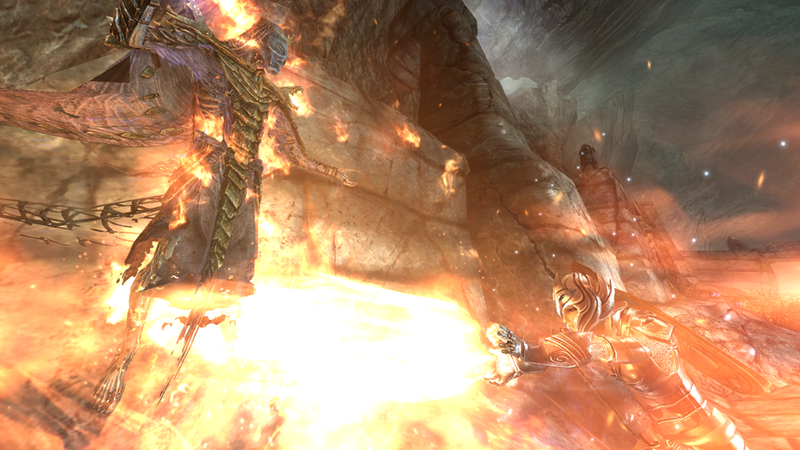 Surely Akatosh did not mean for me to be the dragonborn of legend when one of them was certainly more worthy. No one dared say this, but I could feel it in the way they looked at me. I wondered this myself. Why me? 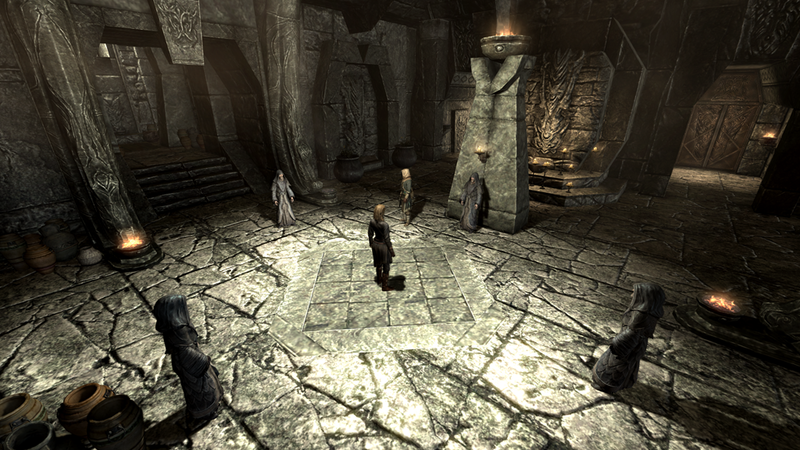 The Thalmor caused a civil war in Skyrim with the outlaw of Talos worship. 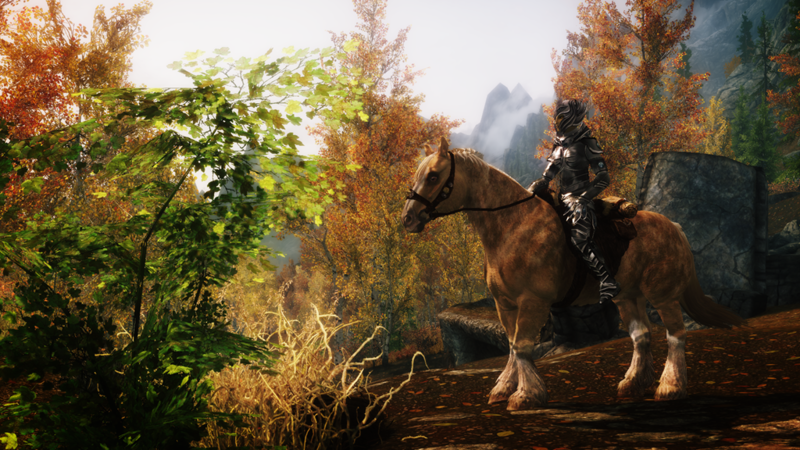 Talos, the man-god of the Nords. 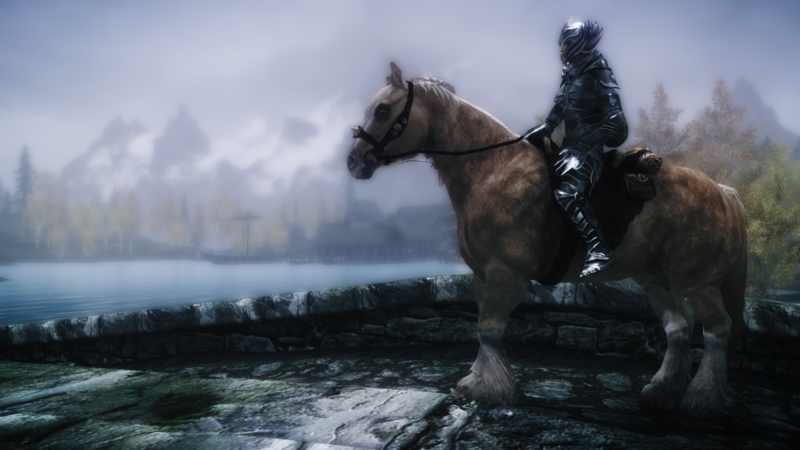 I am the daughter of Thalmor politicians who held a hand in causing this situation, and yet I wield the power of their greatest Northern legends. 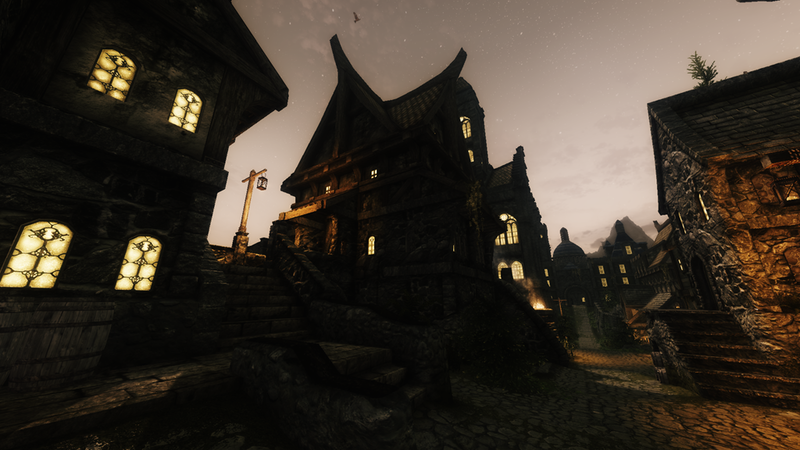 Did Akatosh mean to be ironic? My mind pushed away thoughts of redemption. My brother was certainly more worthy than I for such a burden. 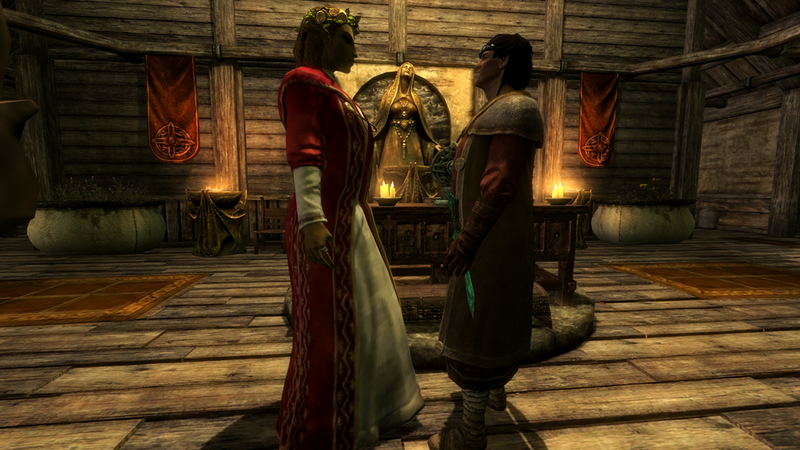 Sensing my discomfort at the staring residents, Lydia scattered the crowds and led me towards the inn so we could get a hot meal and warm up. I seated myself in the darkest corner, and gave Lydia our treasures to sell to the smith next door. I ordered a bottle of Aldo wine and bread; I did not have money for a finer vintage. I pulled a map from my knapsack and plotted our next course. We still had Pantea’s flute to retrieve for the Bard’s college. I nibbled at my bread and pondered why it seemed so difficult to stay on task. The answer was simple: I enjoyed the adventure.